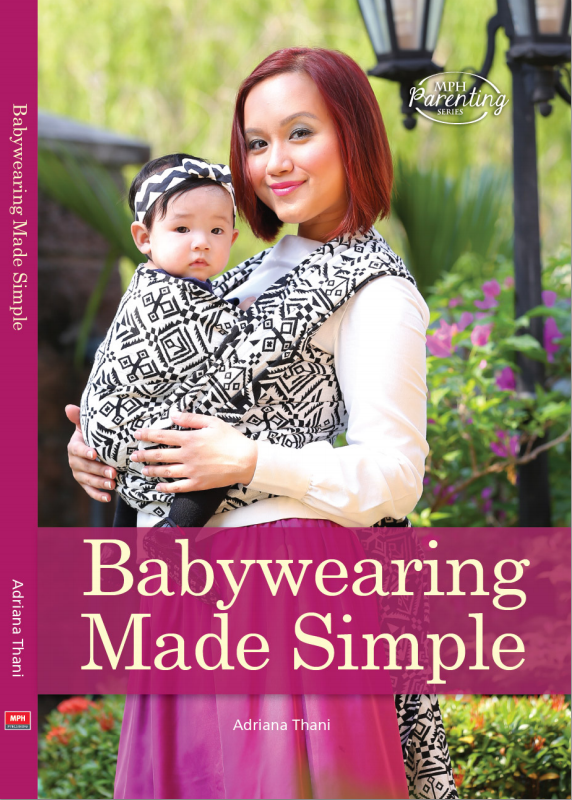 The Diaries of a Glam Mama: 5 Unexpected Items That You Need For Stress-free Babywearing! 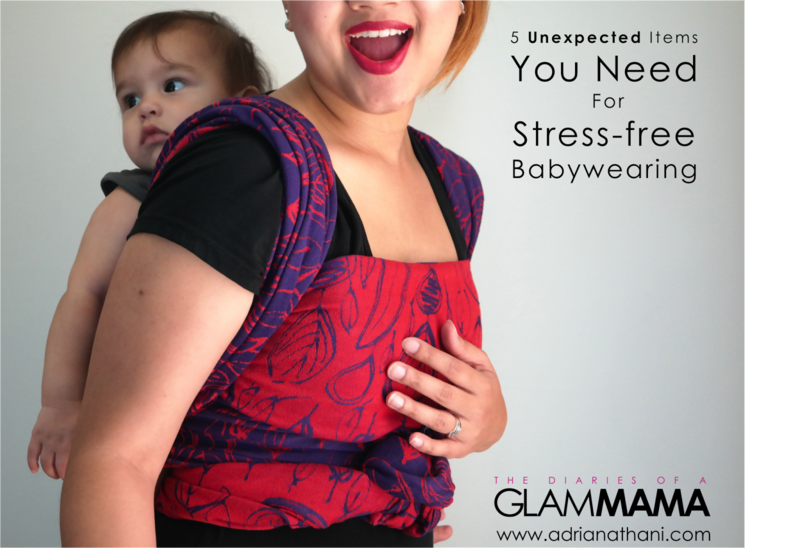 5 Unexpected Items That You Need For Stress-free Babywearing! I generally don't stress about my own wraps and carriers. Most of my collection are easy-care fibers that I don't mind getting a little dirty, and a few of them are destined to stay in my home in one form or another, so minor pulls and imperfections from wear just isn't a major concern. But I do have one or two wraps that have cost me more than I care to admit, and I do want to take good care of them in case I ever choose to sell them. Plus, I host several other people's and brand's wraps and carriers at any given time, and I need to be very very careful with those! Apart from caring for wraps and carriers, I've also come to realize that I need to take care of myself while babywearing. 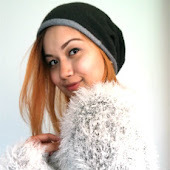 There are some items that just make it more practical, ergonomic, and stress-free to wear my babies. So here are some unexpected items that I utilize to ensure that I don't need to stress out when wearing my wraps and carriers. It's lovely to be able to fully enjoy these beautiful textiles and savour the closeness with my children without any worry! That's not to say you can't wear pretty jewelry at all, of course. I'm pretty lucky that my engagement ring is flat, and so is my matching wedding band. A few babywearers I've spoken to have even put away their engagement rings temporarily and decide to just wear their wedding bands daily instead. Charm necklaces seem to be a popular options with a lot of babywearers, and they are usually flat and rounded. I, for one, am loving the whole choker trend - the 90s making a comeback has been a lot of fun for me, clearly. As for bracelets - as long as you're sure nothing's going to catch on your wrap or scratch your wearee, you're all good! And earrings? Well, they're not likely to affect your wrap or even your baby in any way, but for the sake of your ears, maybe consider wearing earrings that are out of reach of grabby toddler hands! Unfortunately, I'm speaking from experience. This seems really odd, right? I mean, what do hand lotions and cuticle oils have to do with babywearing?? But let me assure you, the day the hard peeling skin on your thumb creates a pull in your expensive wrap, is the day you'll vow to have your hands and nails moisturized and manicured at all times! A tip: give yourself about 10 minutes after using lotions or oils before using a wrap or carrier. This is to make sure that the oils and lotions completely absorb into your skin and don't get on your wrap or carrier. Some products - especially oil-based products - can create damage or discolouration on fabrics. So you'll want to avoid that! A bonus to creating this habit is that it's a also a great self-care routine that takes so little time out of your daily lives. So take care of yourself while indirectly taking care of your wraps too. While I can get a decent, safe, and functional wrap job without a mirror, using a mirror just makes it that much easier to make sure my wrapping is ergonomic, supportive, and neat. Plus, it does provide some entertainment to distract my wearee, which is a bonus. With other types of carriers, mirrors are a great way for me to make sure that my wearee is centered on my back. If you're a new babywearer, a mirror is pretty much indispensable! I always recommend that new wearers practice at home in front of mirrors till they are 100% comfortable before doing it while out and about. It's so much easier for them to properly see everything they're doing from every angle right from the start than it is for them to try to trouble shoot after the fact. We don't have any full-length mirrors in our house, but our built-in wardrobes are all equipped with mirrored doors, so that's my go-to solution! You can find inexpensive full-length mirrors pretty much anywhere if you don't have any in your home. Every couple of months, this question will pop up in several of the babywearing Facebook groups I'm in: What bags should I wear while babywearing? The truth is, there isn't one correct answer! In fact, I have several options for any given situation. I use a wristlet or no bag at all for school pickup (I put my phone in my double hammock chest pass or in my back pocket, and my house and car keys are on this elastic holder that I wear on my wrist). For slightly longer outings that last around 1-2 hours and require a change of nappies, I use a cross-body bag or a shoulder bag, making sure to switch the bag from one shoulder to another every 15mins or so. For anything longer than a couple of hours, a backpack is the way to go! If Adam's on my back, the backpack goes on my front (and vice versa, obviously). I generally prefer to dress Adam in onesies (AKA rompers or bodysuits, depending on where you live) when I wear him, because I know his top won't hike up the way it would if he was in a t-shirt. Well, that's the same reason I prefer to dress in bodysuits myself! Body suits a relatively new discovery for me, as I've only just started using them with my third baby, but I do wish I had looked for them when I was wearing the older boys. I love that no matter how I'm wearing Adam, my top won't hike up and/or get twisted. My top stays tucked into my pants or skirt, no matter what. They're also great as an under layer so that even when your cover-up (cardigan, sweater, etc) moves about, you're not displaying skin (if that bothers you!). It also saves me the time and effort of trying yank down the hem of my tops after it's been caught up between Adam and me! FML man, sometimes trying to get my top back down takes longer than my wrap jobs, no joke. The major downside of wearing bodysuits, though? Going to the toilet is a pain! While you can unbutton the crotch section of a body suit just like a baby's onesie, there's the unfortunate fact that most of the time, there's no one there to help you button it closed again! This isn't a problem if you're going to the toilet alone, but if you've got a baby on your back or your front? Yeah, a bit of a pain. Quick tip: If you're nursing, opt for wraparound or low cut body suits and pair it with a crop tank or nursing tank inside for easy access! So are there any other odd items that you use to help with babywearing that I may not have listed? Be sure to share in the comments section! The wrap used in the cover photo above is Leaf Dance by Ankalia - go on and read the review I wrote HERE for more information and photos! Note: This post contains affiliate links. I will earn a commission from anything you buy from the relevant website, but you won't have to pay anything extra!